owls about that then! : Barn Owls.........Again!! It was another evening staked out in my mobile hide at the local Barn Owl site, and when they finally emerged to go hunting all the hanging around waiting didn't seem to matter and was quickly forgotten. The male owl came close on a couple of occasions and posed nicely on his favourite perch right in front of me, he is one magnificent and very handsome specimen and I think he knows it! The setting sun cast a nice even golden glow that really complemented the colours in the owls plumage, click for bigger image. There was still enough light left that allowed me enough shutter speed to capture some fly past shots. 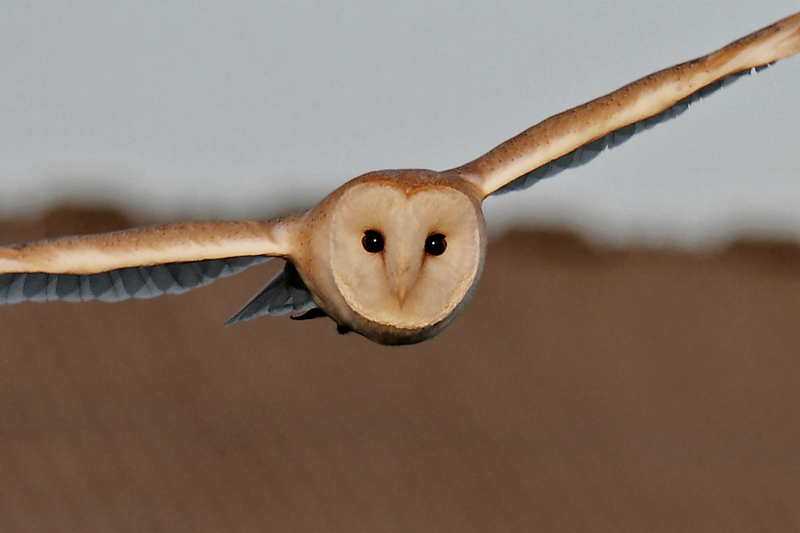 Right at the end of the evening and the very last fly past I though the owl was coming in the hide for me! He was so close I couldn't fit the whole of him in the frame! 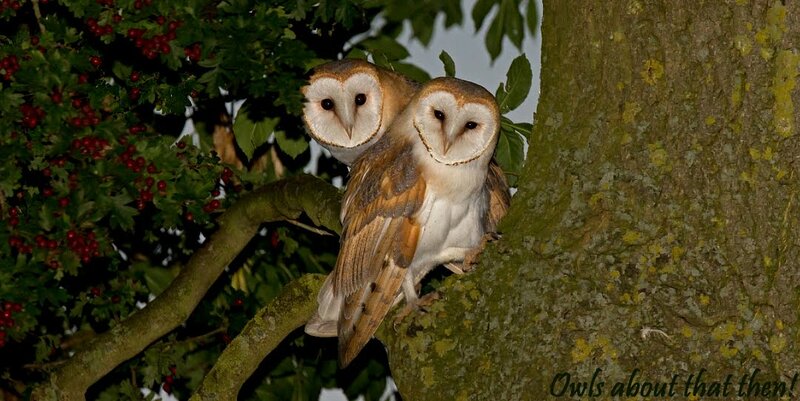 On the way home I saw another Barn Owl out hunting, a Tawny Owl sitting on top of a telegraph pole and two Little Owls, of which one was a new site! 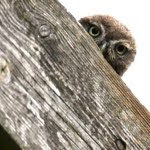 I think I may leave the Barnie's alone for a while and throw some time at the new Little Owl site to see if I can get some images and you never know maybe even some early baby shots? Absolutely superb images Paul, with the second being my favourite. I too was out in my hide waiting for a Barnie to show last night. He didn't appear until 21.38 - even later than previous times! Not being very cooperative at all! Maybe one day?? Hang in there mate, the luck will be with you soon. I agree with Richard, they are all brilliant but the second qualifies as immense! Cheers buddy, yes I think the second is my favourite too! Spectacular images Paul! !All are a favorite of mine with the last as it flew towards your hide quite interesting for the story line alone! You are taking the shots of my dreams Paul! I think I would knock my Granny to the ground to get that second one...wait a minute...of COURSE I would knock my Granny over to get that! Stop it now - jealous! No, actually, don't stop; keep them coming, I'm enjoying them too much. You'd knock your granny to the ground, I did done worse, much worse to attain these images but I dare not declare what!!! Oh, now I'm intrigued; you have to tell me!